(this chapter 2 of the CC Beetle Chronicles picks up from the 1946 CC) Invasive species can impart devastating effects when the indigenous species haven’t evolved the proper defenses. Two little black Beetles stowed away on a ship bound for the US in 1949. There wasn’t anything remarkable about them that would suggest their future impact on revolutionizing the largest automobile market in the world. But like a pair of termites, they multiplied and steadily chewed their way through the framework of an industry that thought itself invincible. Eventually, the Bugs got forced out by other small foreign critters, but when the hollowed-out Fortress Detroit finally crashed into smithereens, the Beetles’ teeth marks could be seen everywhere. American soldiers who had been exposed to the quirks and pleasures of European cars during WW2 developed an appetite for exotic automotive pets. 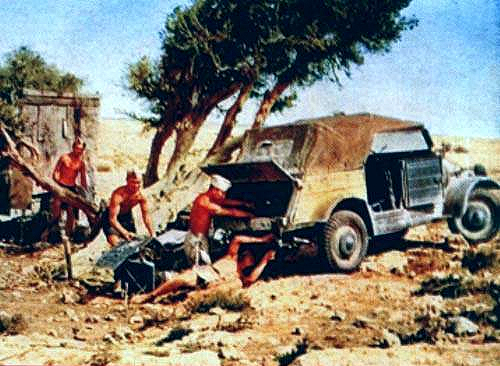 Some even had direct contact with VWs, as many Kübelwagen were captured and put to good use by American GIs, once the valve-adjustment ritual was mastered. A free-for-all import market in the US boomed starting shortly after the war. 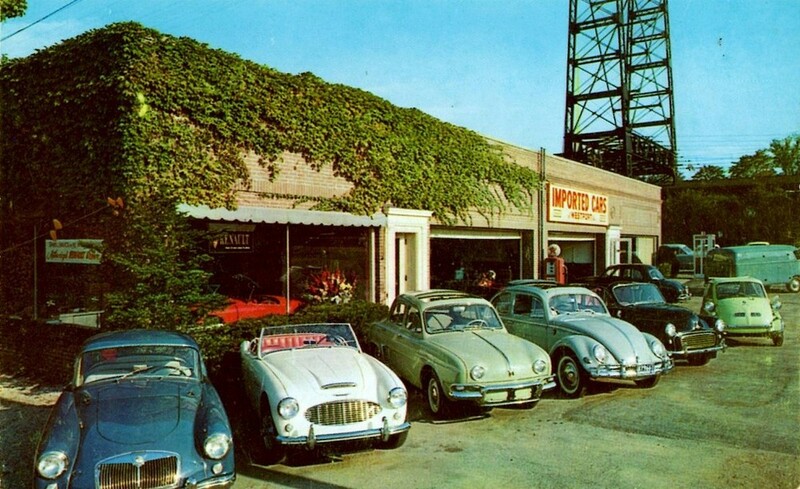 Everything on the automotive menu from Abarth to Zundapp was on offer. Austin was once the biggest-selling import. VW was just another obscure brand amongst dozens fighting for its share of the world’s biggest market. It was not totally unlike the Chinese market of recent times. But a turning point came in 1955. It suddenly became painfully obvious to many early import buyers that while three and four year-old VW’s were still happily putting along, their DKWs, Goliaths, Simcas, Lloyds and dozens of other exotic foreigners were dying. Or at least the functional equivalent: sitting for weeks in their fly-by-night dealers’ one-bay garages awaiting parts supposedly on a tramp freighter somewhere in the Atlantic. The VW design was already almost twenty years old, and well de-bugged in the fields of combat. Material and build quality were superb. A sudden and immediate VW tidal shift was underway. Humans by nature (and American perhaps a bit more so) are faddists, and sometimes our enthusiasm for a new group-identify slips all the way into cultism. 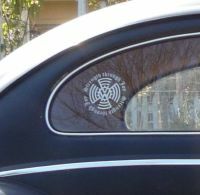 Mid-fifties Beetle drivers waved religiously to each other. That degree of auto-reinforcement has happened only a few times since: the early days of the Honda Civic and the Prius, as well as a few others. 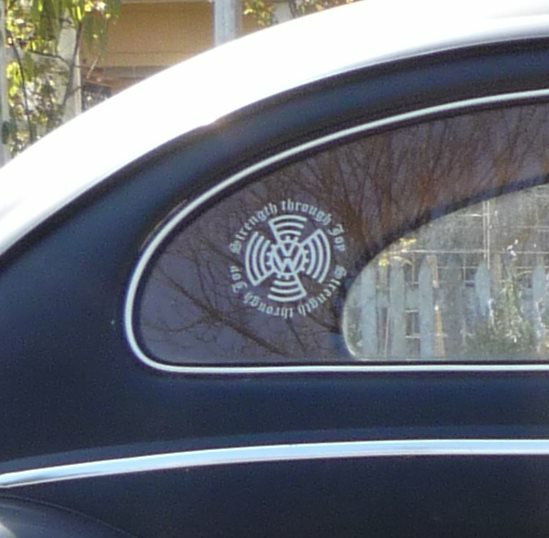 Like many cultists, pioneering VW adopters blissfully ignored all the shortcomings: no trunk to speak of, a cramped back seat, tippy handling at the limit, and as much power on tap as heat on a cold morning. But the Volkwagen’s similarities under the skin (as well as even the skin itself) to the highly-regarded Porsche 356 were all-too obvious to those with a sporting bend. Ferry Porsche’s stance in this picture is symbolic to say the least. During the great sports car boom of the fifties, the VW was taken into the cult as a four-passenger Porsche that just needed a bit of tuning or a Judson supercharger to make it worthy of its designer’s name. Dial in a bit of negative camber in the rear suspension like this one, pump up the tires, cover the front end with newspapers to protect the nice new paint, and go racing. It’s not like it’s liable to break under full throttle. Subtle annual improvements was all it took to keep Americans smiling and waving. Here’s a vintage ad explaining just how one of them came into being. Not surprisingly, it’s hardly truthful, but then that’s advertising. But Volkswagen had a plan. Their ads were lying; they were thinking very big, not small. Because demand suddenly far outstripped supply, VW coerced (“you vill do it ziss way”) dealers to do three key things if they wanted to see any more cars: sell the little buggers at full list price, invest in state of the art showrooms and facilities, and hire competent staff. A no-haggle price and a nice dealership experience: sound familiar? Not to Americans at the time. Most of the dealers complied happily, all the way to the bank. The rest became Renault or Simca dealers. The VW gold rush was underway. But the driving experience was most un-Detroit of all. Thirty six (30 net) horsepower, about the same as a well-fed riding mower today, engendered patience. What it delivered, it did so rock-steady: Thirty-two miles per gallon, always. Top speed: sixty-eight, exactly (upped to seventy-two when the 40 hp came along in 1961). If that was down a mile or two on level ground, you knew it was time for a tune-up. And it would happily run wide-open at sixty-eight for a good 100k miles straight, as long as it had been maintained adequately. And then one swapped in a rebuilt engine – in forty-five minutes. That was one of the keys to the VW’s success. VW sales increased like the national debt: by the mid sixties, a half million a year were being snapped up at full MSRP in the US. VW dealerships were typically some of the most profitable ones. We were making Germany the envy of the rest of Europe, and shattering Detroit’s hegemony of the market. That story has been told on these pages all to well. Turns out the real threat to the US in the fifties and sixties wasn’t Communism; it was the industrious little Bugs munching away in the walls of our biggest industry. Interesting how the third pic shows the bug lined up between a Dauphine and a Morris Minor – direct competitors. VWs put Mrs. JPC and her four siblings through college. Her father had started out selling cars, and even had a Saab franchise for a time in the early 1960s. Then he started a repair shop that specialized in VWs. VWOA was vigilant, even suing him to prevent him from using the words Volkswagen or VW in his company name, but it didn’t matter. For those who wanted to get a VW fixed at somewhere other than the dealer, that was the place. 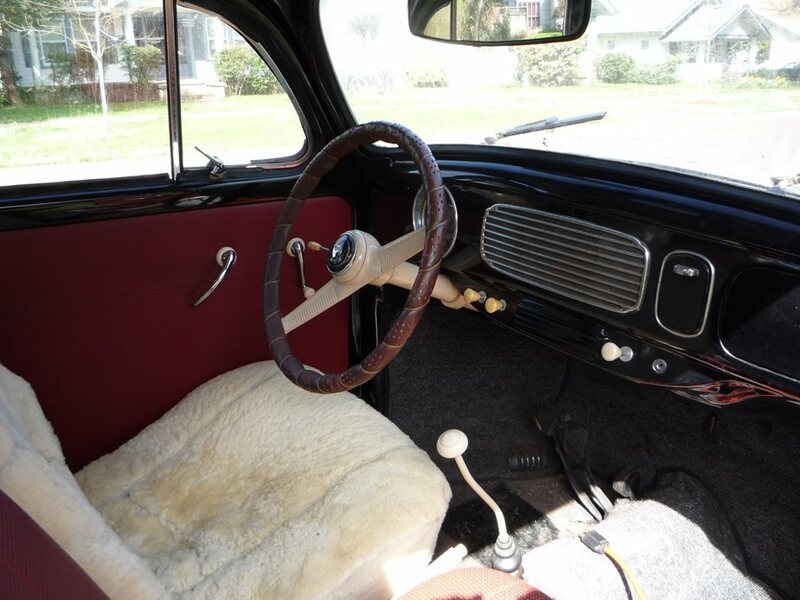 The Mrs has lots of stories, and lots of seat miles in the humble Bug. 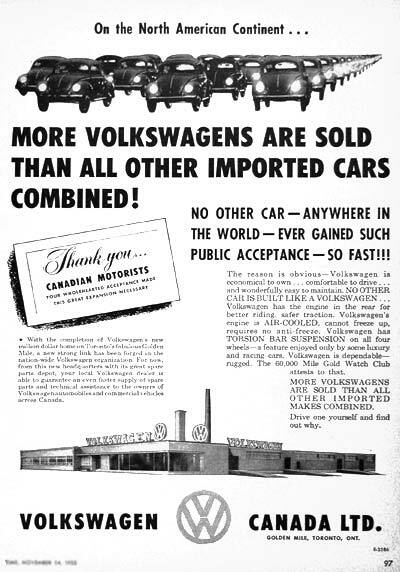 By the time I was really paying attention to cars in the early to mid 1960s in the upper midwest, VWs were the only imports that were really seen with much frequency. 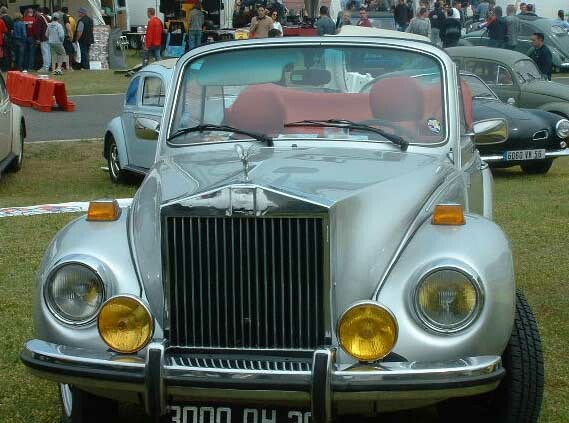 Sure, there would be the MGs and Triumphs, and the rare Metropolitan, but the Bug was everywhere. In a way, the Bug was like the early Mustang, that knew no demographic boundaries. Young couples starting out with no money, or established doctors or lawyers who liked the little car’s attributes of quality and value. About the time I was starting to come under the spell of these, prices of nice ones started moving up. Here in rust country, a clean VW is worth a good bit of money. 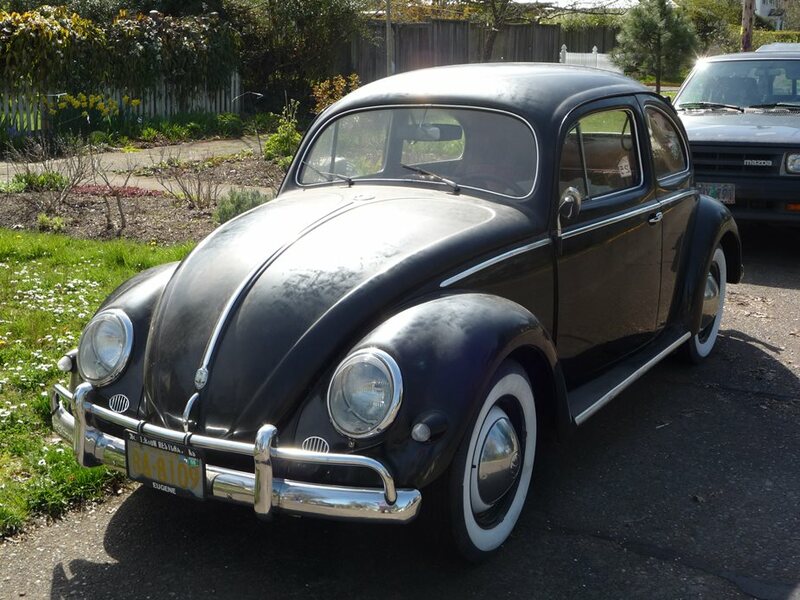 Your featured black beetle is an exact duplicate, including the white walls, that my grandfather purchased brand new from a very small VW dealership in Kingston, MA called Babbit Motors, on Rt. 3a. Long gone now. The one thing that I remember was my grandfather’s non-mechanical leanings….. many an occasion he would start from a dead stop in 3rd gear. Somehow it never stalled. On very hot days he would pick me up from a day at the beach, God, those red vinyl seats where hot… my legs where more red when I got home. Lasted until my brother hit a telephone pole in ’66. The spare tire/wheel saved his life. What’s that decal in the left-rear window? Since none of them ever came with a tachometer, what was the RPM at 68 MPH? 3400, peak hp was actually at 3700. These speeds are pretty much the same as contemporary six cylinder US cars. At 68 mph I’d assume any modern car engine (except the smallest ones) would be turning about 1800-2400 rpm, thanks to low gearing. By contemporary, I meant 1950’s. The Mopar flathead six peaked at 3600rpm. With typical tire sizes and axle ratios, theoretical top speeds approached 80. Real world was closer to the VW. I don’t know of any other car where the owners think engine swaps are regular maintenance. Ever owned an Olds diesel? It isn’t regular maintenance. However in the 1950s most American cars were well done before 100k and hauled off to the scrapyard. When a VW reached that point, it was more likely to have a new engine swapped in because of the ease of doing so. It’s funny the crap people say about aircooled Volkswagens and yet, at least here in the south, if you see a 1970’s or older car being driven it’s typically one of three things, a Ford pickup, Mustang or a Beetle. Regular only to the extent one wanted to keep driving indefinitely. Most other cars back then were so worn out all over after 100k miles, that it wasn’t very motivating to have your engine rebuilt. Not so much so in the case of the VW, which was still very solid after that, That’s why folks bothered with the VW. I’m sure there were exceptions and earlier failures, but from direct experience with at least three VWs, a properly maintained and driven original VW engine would run at least 100k miles (often more) before needing an overhaul. That was the generally accepted rule of thumb. Try to find another import brand from the 50s or 60s for which that also applied, with the exception of Mercedes or Peugeot. Most crapped out much sooner. And plenty of American cars were challenged to go that distance too. A friend of mine bought a ’62 Beetle from the original owners. The 40hp actually made it to 215k when he pulled it out. It had crank endplay like you wouldn’t believe and probably put out about 15hp but it still ran when he pulled it out. 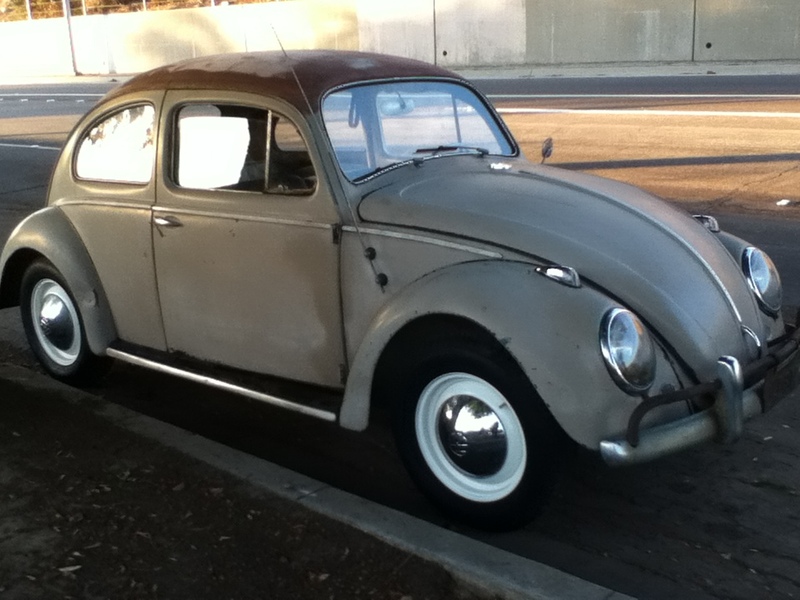 my ’57 VW, which I paid $65 for in 1969, was last seen by me in 1971 when the guy I sold it to took it away to take the engine out of it to put into his T1 Transporter. I had a ’69 Beetle in 1975. That SOB did not last past 50,000 miles. It ate up all my money. Never again!! “Toyopests,” huh? I see what you did! 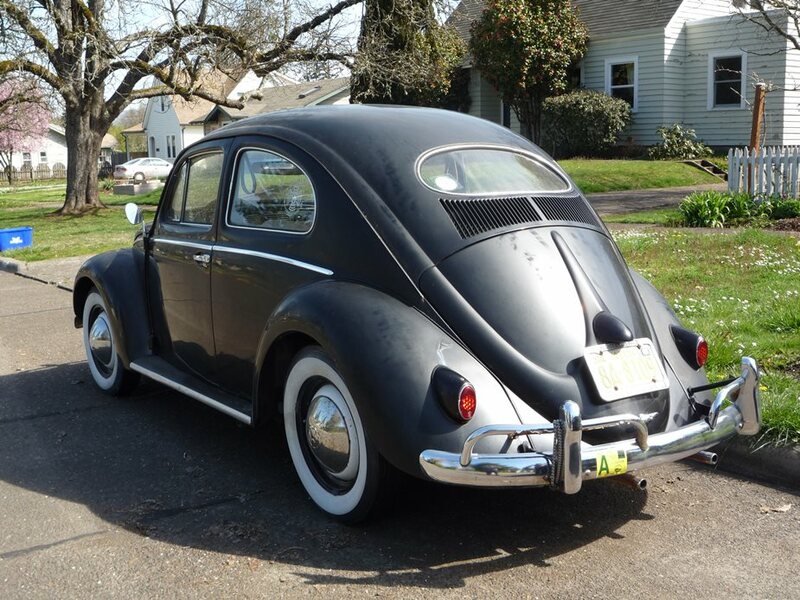 Speaking as someone who learned how to drive stick in a ’66 fastback, I am loving VW week. Beetle, Civic and Prius, I’ve been a happy acolyte of all three. I wouldn’t say it was faddism, each was a major milestone that delivered real value way ahead of its time. I’m curious as to whether there was anything more than organic sales share increase going on regarding the 1955 turning point mentioned, or was there a particular event that increased sales? In Australia I think a major driver of early VW sales was their success in the Redex and other round-Australia trials. These were 8-10,000 mile or more events that would run for weeks over some pretty harsh terrain which really punished cars. 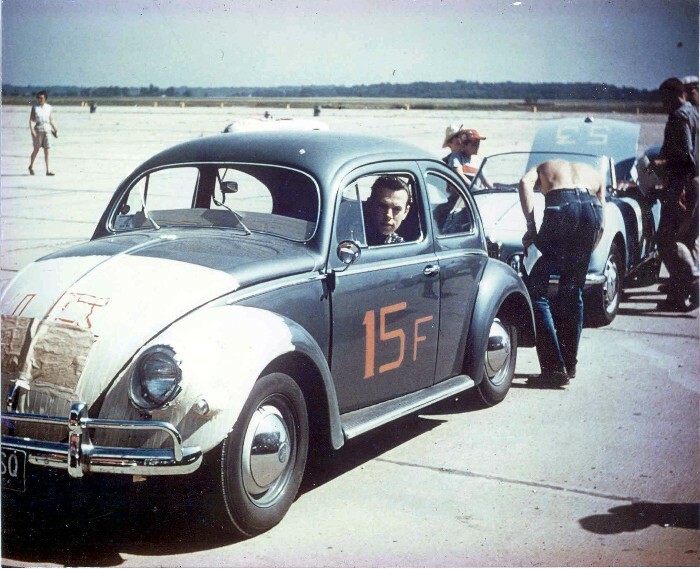 The first was held in 1953, and a VW won in 1955 by which time a decent portion of fields were VWs. They gained a reputation for toughness that would have contributed to a lot of sales. Paul, you are older than myself so I’ll defer to your opinion that the VW dealer experience was at one time, far back in the annals of history, wonderful. However, I’m pretty sure that ended at some point in the last 40 years because the consensus these days, based on empirical evidence and my own personal/family experience, is that VW dealers are pond scum. I for one wholeheartedly believe this to be the case. As a kid my dad had old vw’s because they were cheap to run and buy back then – this was the 1970s and 80’s. He regularly drove a 1956, and for years he had a 57 sunroof in the garage – this had no title. In about 1983, he bought a 1963 that he started driving more regularly, until he hit a deer. The body crumpled, so he then placed the body of the 57 on the 63 and it ran like that until the 1990’s. Later that also received the 1500 from a third beetle. The purists out there will hate this compilation of VW parts, but the doner vehicles weren’t worth much. 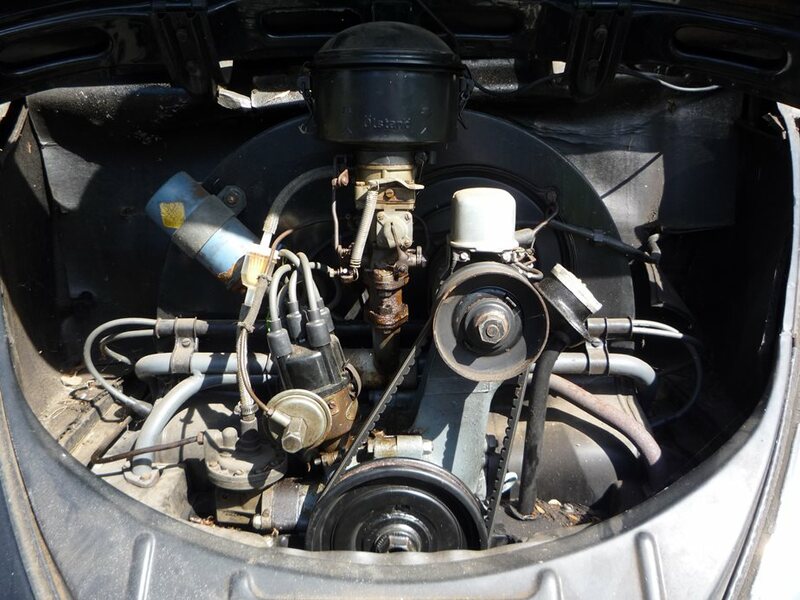 He has since sold the 56 and 57 (and 68, 69, 70) but he still has two in the garage that, while in pieces, are out of the elements – a 67 that has a lot of body rot, and a 54 that is needing a complete restoration. His daily driver now? A Hyundai. 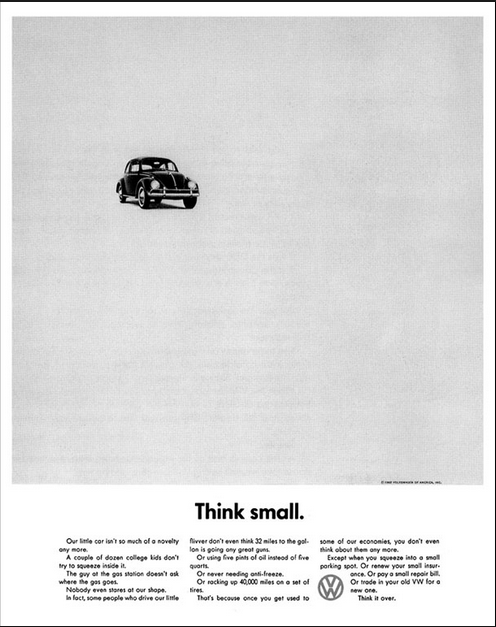 Hmm, I wonder if those wide white walls marked the beginning of the broughamification of VW beetle? Saw an immaculate 1300 Beetle yesterday in white stickered as a 68 but 67 by US indications(probably local assembly) when I return home it will appear on the cohort. If you look directly above the dealer add on the same page, they have ranch style homes for $16,800 and Cape Code style homes for $15,900 in Monroe, Conn. The current home owners probably pay this amount each year in property/school taxes alone. 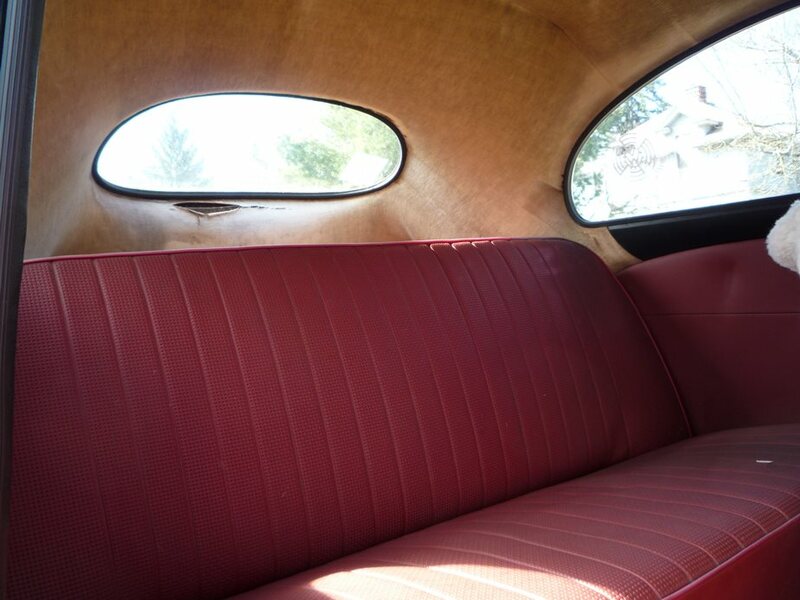 I see the entire interior has been re done some years ago , the original headliner was far more complicated . 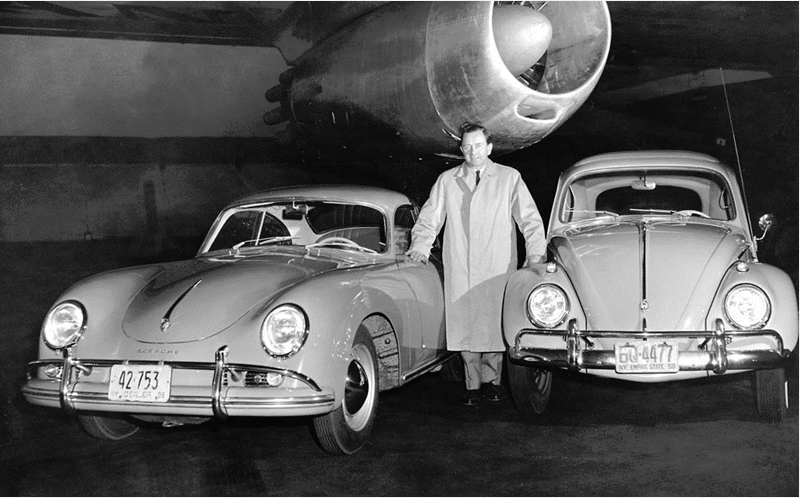 In 1955 the millionth Beetle was made , in 1975 I bought a ’55 DeLuxe # 117 (folding sun roof) Beetle that had the millionth engine in it , I was impressed but no one else seemed to be , I left it in the car when I sold it a few years later , I wonder where it is now ? . 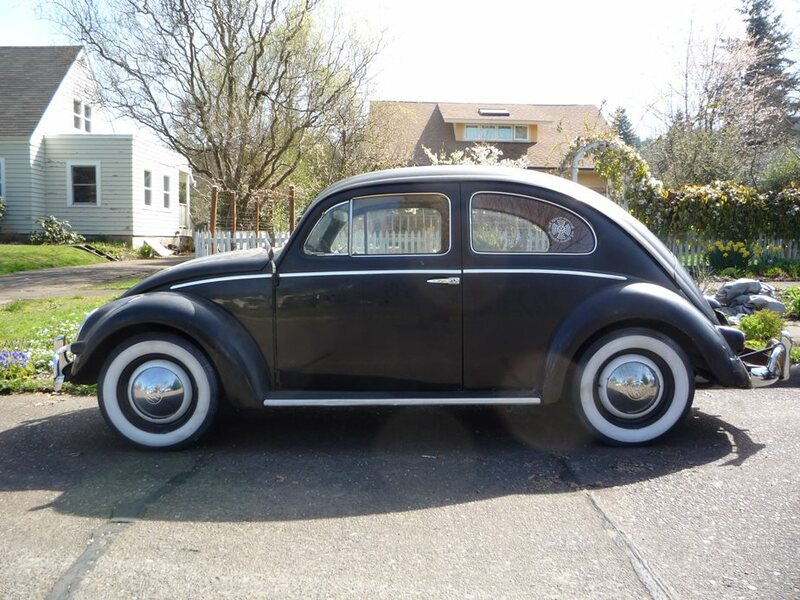 Well you did it ~ got me to buy one last Beetle before I die . I’ve gotten it running well and reliably on the 36HP engine and it easily tops 75 MPH on the freeway as long as it’s flat and no wind =8-) . I don’t think I’ll paint it but interior re trimming most definitely .